Serving Chicago for over 50 years! 4229 W. Irving Park Rd. 3234 W. Irving Park Rd. If you're looking for a great meal, but don't feel like leaving the house, we’ve got you covered! Simply use one of our online ordering options and we'll have your food delivered right to your door. It doesn't get any easier than that, so go ahead and place your order now! 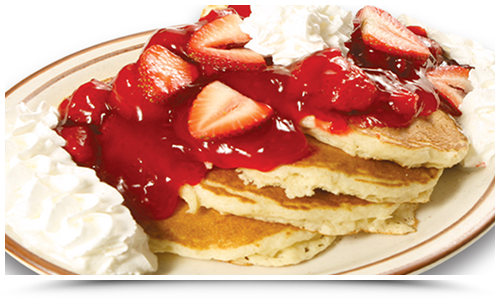 We started out in 1966 as a “pancake house” specializing in homemade from scratch pancakes using real buttermilk, fresh USDA grade AA eggs with absolutely no pre-made package mix or preservatives. We have been using the same recipe for over 50 years doing it the old fashioned way – making them fresh from scratch every day. Homemade crepes prepared Golden Nugget blintz style with our own four cheese blend inside each crepe. 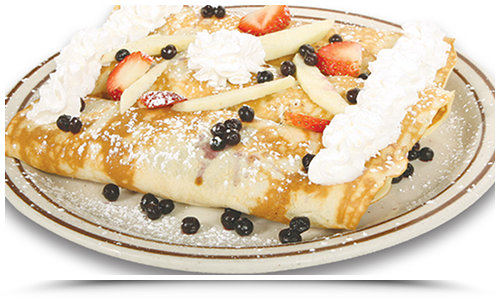 Our crepes are made fresh daily with pure butter, grade AA USDA certified extra large eggs and fresh fruit when in season. All crepes are dusted with powdered sugar. This Tex Mex dish is bursting with flavor! 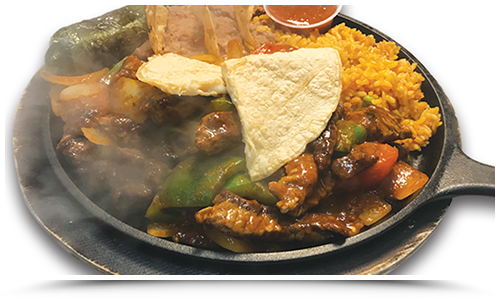 Ten ounces of diced, chopped Certified Angus Beef sirloin served sizzling, topped with sautéed green peppers, onions and fresh chopped tomatoes. We offer this one with Spanish rice, homemade refried beans, warm tortillas and a mini quesadilla. Old school diner feel. Quite possibly the best pancakes I've ever had. Very fluffy, buttery and delicious. We'll definitely be back.